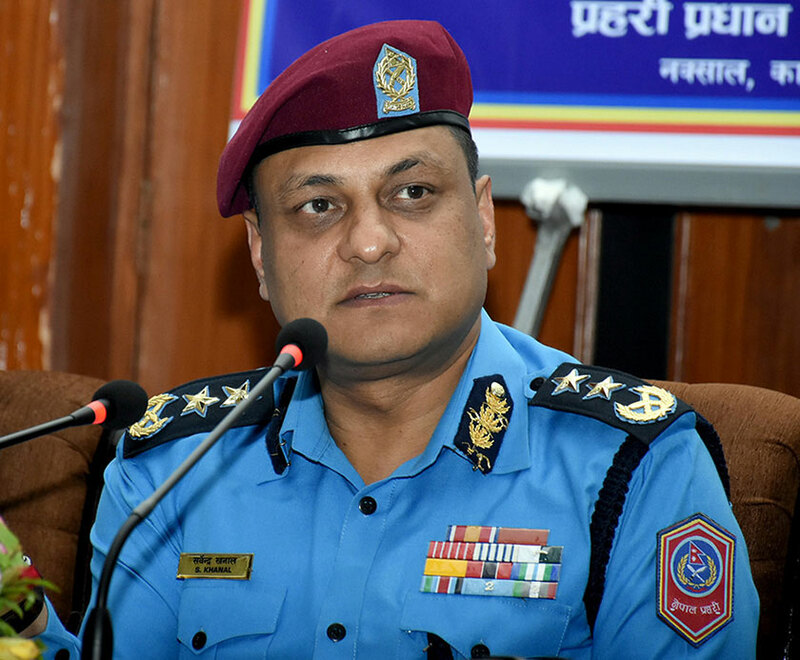 Kathmandu – Inspector General of Police (IGP) Sarbendra Khanal has asserted that the police can't afford to show any negligence in carrying out investigation of any cases of crimes and violence occurring in our society. IGP Khanal said so at a seminar organized here today by the Asian Development Bank (ADB), Nepal Police's Crime Investigation Bureau, Women and Children Service Directorate. The seminar was titled - 'Gender Based Violence (GBV) Prevention Network Committee's Amended Operation Procedures for Management of Gender Based Violence -2075'. Urging the women and children to adhere to 'zero tolerance' principle when it comes to gender-based violence, Khanal reaffirmed that it was unpardonable for the Police to be deliberately negligent for investigation of any cases of GBV. Furthermore, he shared that the police had launched 'Police-Community Partnership Programme' aimed at creating peaceful society and maintaining law and order, and also expressed his confidence that the effective implementation of the campaign would contribute in decreasing the crime rates and cases of GBV. The IGP informed that the Nepal Police had the success rate of investigation. According to him, the cases of violence against women and children in Nepal stood at 87 per cent and the police should aim to increase the success rate to 95 per cent. IGP Khanal said Nepal police had accorded priority to the participation of women in every type of activities. Towards this, the Nepal Police was mulling a separate women force to be sent to UN's peace keeping missions. Similarly, Kathmandu Metropolitan City's Deputy Mayor Hari Prabha Khadgi spoke of the need for the individuals to start change within themselves to prevent the cases of GBV. Stating that around 94 per cent of the women were elected to the Deputy Mayor post in the local level elections, she viewed the women to be aware their rights and strive for equality. Likewise, programme coordinator Sulochana Shrestha said that the ADB has been coordinating efforts with the Nepal Police since eight years to prevent the cases of GBV. She informed, "The programme that was launched from then 30 VDCs in Jumla district in 2010 is currently expanded to 20 districts in the country," batting for the further expansion of this programme in all 77 districts. Also speaking at the programme, Additional Inspector General of Police (AIG) Pushkar Karki and Deputy Inspector General of Police (DIG) Hari Bhakta Prajapati shed light on the efforts and initiatives of the Nepal Police that were aimed at prevention of cases of GBV in Nepal. The event that goes through two days has witnessed participation of concerned police officers from all 77 districts.